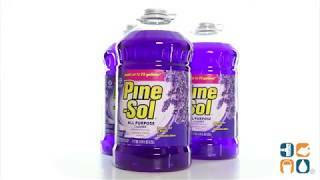 Pine-Sol is a versatile cleaner that deodorizes and eliminates unpleasant odors, leaving behind the powerful scent of lavender. This all purpose cleaner cuts through grease and grime fast, removing everything from dirt, grease and scuff marks to food, beverage and mud stains. Each carton includes three 144-oz. bottles.